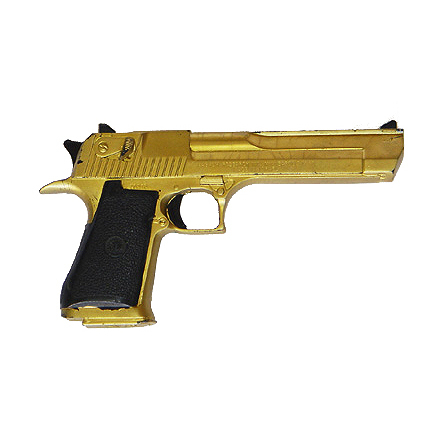 This rubber prop Desert Eagle gun was used by the character Madison Lee portrayed by actress Demi Moore in the motion picture “CHARLIE'S ANGELS: FULL THROTLE”, which also starred Drew Barrymore. This non-firing prop weapon was used in the scene where the Angels find out that Madison is a rogue agent and engage in a fight on top of the observatory building. 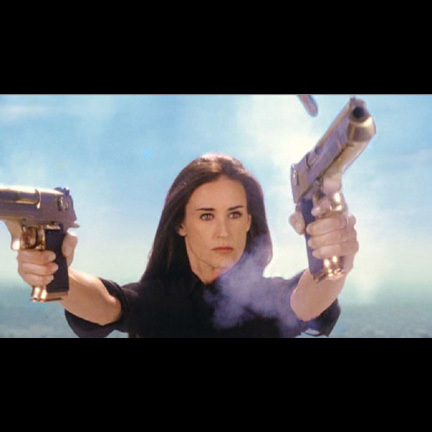 The prop 50 caliber Desert Eagle 92FS gun is constructed of a solid dense rubber and was hand painted to create the illusion of metal on screen. This prop weapon was created for stunt use during production and cannot be altered to fire live ammunition. It has minor scrapes which occurred during production. Accompanied by a letter of authenticity from the films weapons supplier.